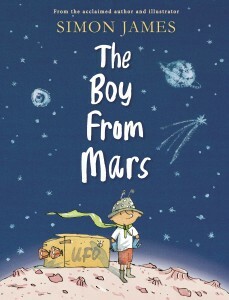 “The Boy Who Went to Mars” (Candlewick, 30 pages, $16.99), a child dismayed by his mother’s departure on a business trip relieves his feelings by jumping into a cardboard rocket and blasting off. 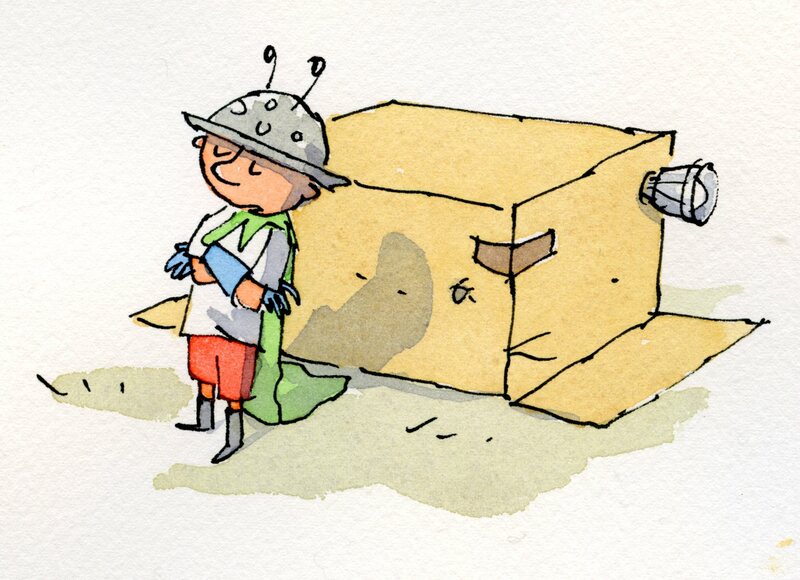 When the spaceship returns to Earth, as we see in Simon James’s engaging ink-and-watercolor illustrations, a small “Martian” emerges wearing rubber gloves and a colander on his head. 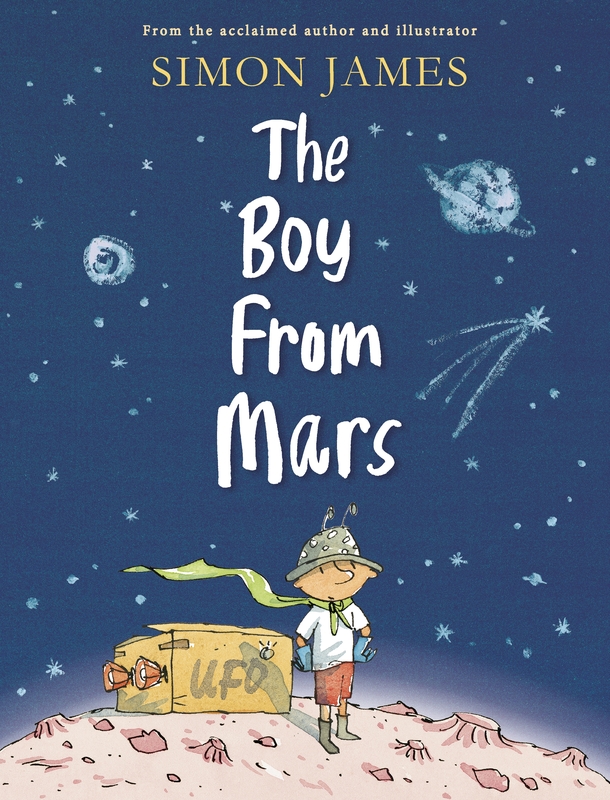 “I’ve come to explore your sibilization,” the Martian tells the boy’s family in a book that is a perfect equipoise of wit, tenderness and empathy.